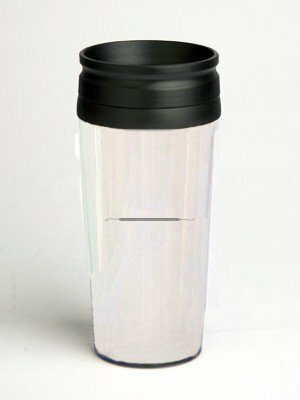 - 16 oz double wall insulated tumbler with fabric or paper insert. - Unscrew ring to REPLACE the fabric or paper. - Design any full color image on the insert paper and wrap around the mug. Great for advertising.